A Founding Director of Turner Harris, James brings over 10 years of experience in strategic consulting and advisory within the energy and technology sectors, working with multinational private-sector clients and government agencies. Our success is driven by the quality of our advisory team. Bringing together thought leaders and recognised experts from around the world together provides our clients with access to a pool of talent with a truly global perspective. 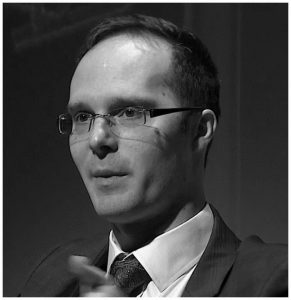 With over ten years experience advising in global nuclear markets, specialising in Parent Body Organisation contracts, Government Industrial Policy, Project Financing and Small Modular Reactors, James is a member of the World Economic Forum’s Energy Harnessing taskforce and the World Nuclear Associations taskforces on economics and supply chain development. He has advised the UK Government and the Energy Technologies Institute on the future of Small Modular Reactor Deployment in the UK. James speaks regularly at global forums on the topic of nuclear energy policy and security, and on the development of global supply chains for New Build and Operational sites. He holds an MBA from Heriot Watt University, and is a member of the Institution for Engineering and Technology.